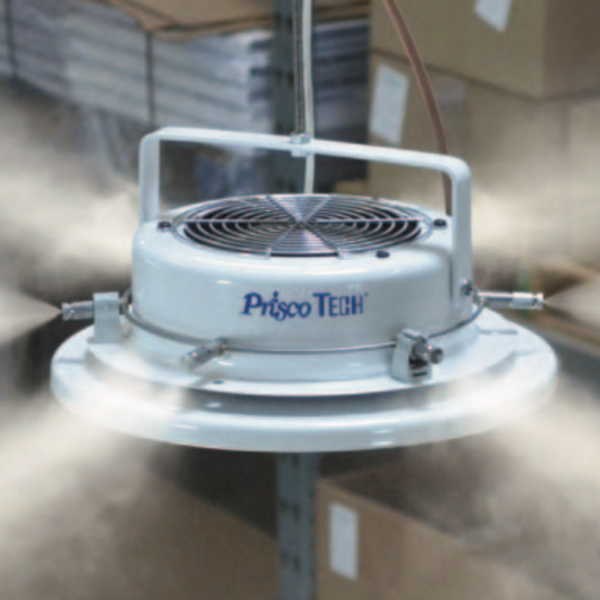 For small to medium production areas. 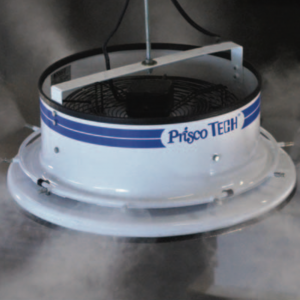 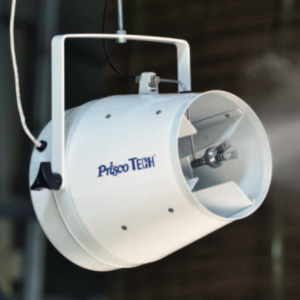 SpaceMist™ 50 – Up to six evenly spaced misting nozzles and quiet axial fan distribute humidity in a 360° pattern within an area of up to 900 ft2. 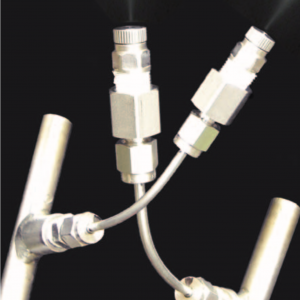 Depending upon nozzle size (.006” or .008”) used, between .06 to .1 gal/min (30 – 60 lb/hr) of water is delivered with no fall-out.